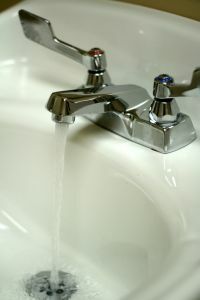 The one area I especially want to focus on to reduce waste is conserving water as a resource. Alhamdulillah, we belong to the niche segment of this society whereby we can afford clean water tankers and branded mineral water without giving much thought to the cost. Hence, we tend to take this blessing of Allah for granted. This is inspite of the fact that we live in a country where majority of the population is deprived of clean drinking water. My resolve is to make sure I limit wasting water during wudhu, bathing and while carrying out other kitchen chores. Not opening the tap to full gush of water and not relaxing under hot shower for ages will help me achieve this goal. Moreover, I aim to inculcate this habit in my children starting now as they are under the age of 3 years. Additionally, I will try and convey this to the domestic staff as well but this time in a polite way giving rationale from deen and Qur’an teachings so that the message is more effective. This entry was posted in Uncategorized and tagged blessing, Conserving Water, Environmental Friendly, Wudhu. Bookmark the permalink. It’s so important to inculcate environmentally friendly habits within our children and domestic staff/helpers! When we collectively adopt good habits then we can also provide each other with useful reminders and tips. Even when writing or drawing we should encourage our children to use all the paper or cut just as much as needed and to recycle/reuse whatever we can.